This session will explore how Enterprise & OEM Industrial Internet of Things customers are still typically in the early adopter/early majority side of the adoption curve, and what this means for their behaviors. As a result of being early adopters, the embracing of any technological change or disruptive approach to their business must have internal advocates, but will certainly have internal opponents [terrorists! ], as well as a silent majority who watch and wait before deciding where to place their support. Internal advocate[s] at Board level are essential. Not least because budget allocation, fear of mission creep, fear of failure, unfamiliar technologies, fear of staff changes, responsibility for program management, unclear budget holders, will all be issues needing resolving. The ability for the IoT supplier to offer an end-to-end solution and crucially to manage all the elements in the chain of the implementation is key. This means hardware, software, cloud hosting, portal management, creating visualisations & analysis/distillation of the data that help the business change its operating model; and to do this not just during initial pilots, but during full scale roll out, with attention to the business issues as well as the staff and support issues. All of this needs to be delivered with an understanding of how organizations behave and how the particular organization needs to measure its return on investment. Drinking water Quality measurement [for an instrument OEM deployed through water utilities] that enabled a change in operating practices across an industry. We will look at how the organizations managed the change; how their boards were involved, how it has transformed their business and why the end to end solution was so important. Critically we will see how this translated into a return on investment. As long as IoT remains on the left hand side of the adoption curve this end-to-end approach will be necessary to convince many organizations to move forward. 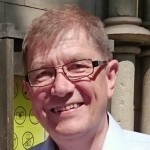 Jon Penn, has been Managing Director of Caption Data since 2010. During this time teh business has been at teh forefront of developments in several industries and now has thousands of IoT systems across 15 countries and is expanding rapdily as it focuses on working with key accoutns in key sectors. A Graduate Engineer, Jon has worked extensively in technology and engineering businesses, globally.